Days after delivering his Bobby Tarantino II mixtape, Logic has revealed plans to take his latest effort on tour later this year. 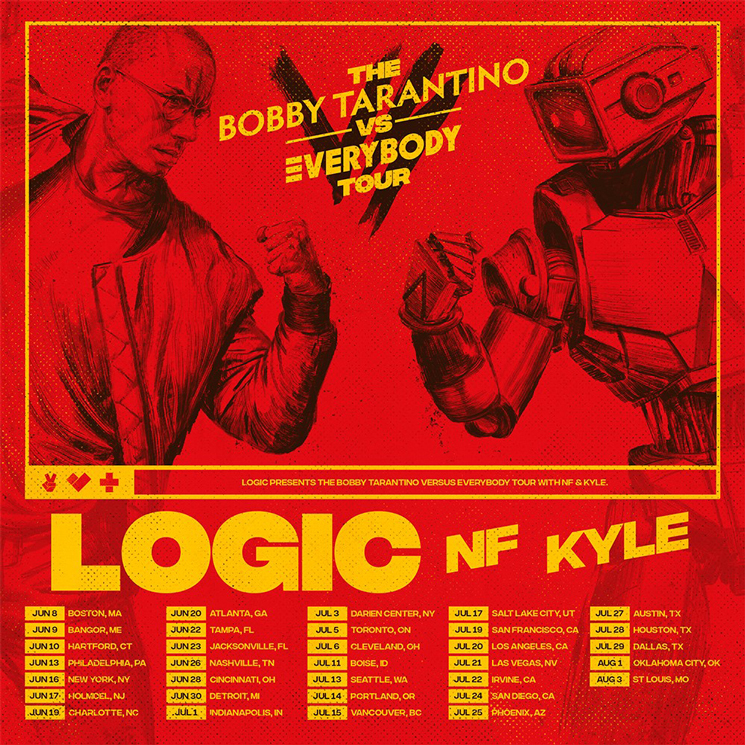 With support from NF and KYLE, Logic will play a total of 34 dates on the continent from June to August on "The Bobby Tarantino vs. Everybody Tour." A pair of Canadian dates are also included in the trek, bringing Logic to Toronto's Budweiser Stage on July 5 and Vancouver's PNE Amphitheatre on July 15. Tickets for all dates go on sale to the public on Friday (March 16) at 12 p.m. local time. You can find a complete tour itinerary below.